To bring affordable family entertainment to fans across America. Maximize revenue opportunities for individual franchises. Deliver high impact visibility for corporate sponsors. Reach the youth through mentoring programs. Instill a sense of community pride using local talent. To honor God in all we do. 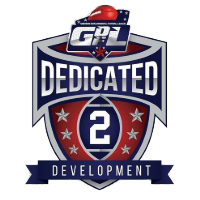 The Gridiron Developmental Football League is on a mission. We are the most respected and professional sports Leagues in the country. Through community groups, community awareness, community involvement, and a professional approach on and off the field, the Gridiron Developmental Football League provides quality sports entertainment for our communities. The Gridiron Developmental Football League is a Professional Developmental Football League based in Memphis, Tennessee. This League was established to provide the community with high quality sports entertainment and to provide athletes the opportunity to participate in professional sports. We are looking at partnering with national and local area businesses in our pursuit of excellence and commitment to our community. Our commitment, dedication, and vision are set on building a firm foundation for professionalism and quality. The Gridiron Developmental Football League continues to strive to provide a quality minor professional level of football throughout the United States and beyond giving area athletes and fans the opportunity be a part of history. Our organization would like to thank you for your support. We are excited about the upcoming season and look forward to “Making AN IMPACT” in our Community. The Gridiron Developmental Football League feels strongly about community involvement. We will be working with area youth organizations in our attempt to be a positive influence in the youth of our Communities. Through your participation, area youth will have the opportunity to attend games at no charge and receive free concessions products. This is a great opportunity to get involved and make a difference in the lives of the youth in the Gridiron Developmental Football League National Communities. Players, coaches, and cheer team members will be encouraged to take part in area youth organizations as well as community-based charities. We look forward to teaming with you. We have an aggressive approach to marketing. One of our key initiatives will be brand awareness. By getting our name known throughout the Geographic areas, we believe we will be successful in selling our product. Another initiative is professionalism. By showing the community a professional quality organization on and off the field, the community will respect and support the GDFL. Advertisers will also gain recognition through our marketing approach as they will have the opportunity to take advantage of our brand awareness. We believe marketing is a valuable tool to gain the credibility and support needed for success. Our marketing has been designed in such a way to make sure the advertisements create a consistent and professional image. The history of the Gridiron Developmental Football League began in 2010, as representatives of several Regional Minor Pro Football teams took to the task of converting a collaborative idea into a 32 team league. The current league membership spans 15 States including TN, MS, AL, AR, KY, OH, GA, FL,NY,IN,MO,WV,PA,NC, and SC. The first meeting took place on February 27th, 2010 as the Founder/President worked to develop the bylaws that are now the foundation of the Gridiron Developmental Football League. What will separate the GDFL from many others leagues is the business structure & branding rights. Express Opens Pre-Season with a Win!